All the staff here are friendly and personable. I’ve had a great experience with them in vision assessment and getting contacts. 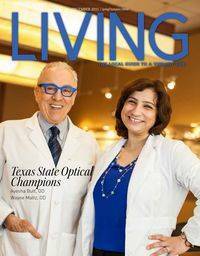 I love Texas State optical because they are really helpful and they take there time with there customer’s make sure there making the right choice every time I’ve gone I’ve only worked with one person and that’s Daniel very awesome person. Super friendly staff, good service. They were extremely busy when I went in to pick up my glasses so I had to wait a few minutes, but the service was worth the wait and they apologized for the wait and sincerely appreciated my patience. That’s a sign of good leadership at the top when your staff are that friendly and it is sincere.